The period would be counted from the end of the year in which the project gets completed. Finance Minister Piyush Goyal proposed to extend the period of exemption from levy of tax on notional rent on unsold inventories from one year to two years. The period would be counted from the end of the year in which the project gets completed. Commenting on this proposal, ANAROCK Chairman Anuj Puri said: "This is a welcome move and will benefit the housing sector, as currently there are more than 6.73 lakh unsold units across the top 7 cities. "Delhi-NCR has 1,86,710 of unsold units while MMR has 2,19,490 units. Motilal Oswal Real Estate Fund Head Sharad Mittal said this would give the developer community breathing space to sell off their unsold inventory in a tough market. Mahagun Director Dhiraj Jain said this is a relieving step for developers, while Sumadhura Group CMD Madhusudhan G said this proposal would give "slight relief". Signature Global Chairman Pradeep Aggarwal said the supply of affordable housing would improve with government extending the deductions announced under Section 80IBA until next fiscal. Square Yards CEO Tanuj Shori said the Budget has lent a helping hand to the real sector and eased some of the pain points. Tulip Infratech CMD Parveen Jain termed the Budget as buyer-friendly with the announcement of tax rebates. Ruparel Realty MD Amit Ruparel said the interim budget provides ample opportunities for people to invest in property. 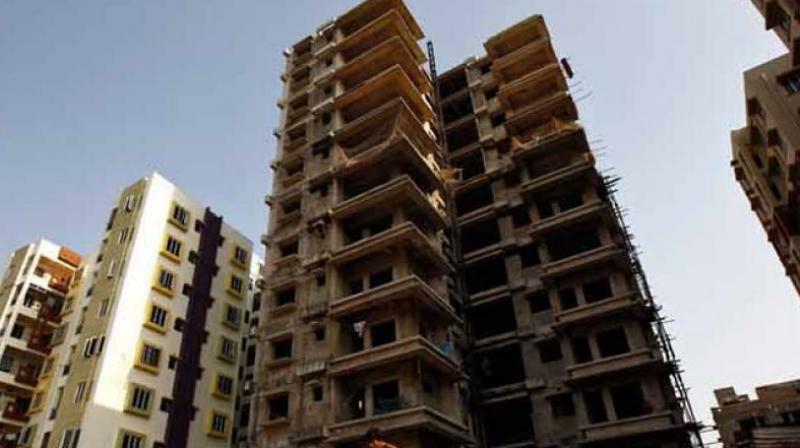 India Mortgage Guarantee Corporation CEO Mahesh Misra said the tax concessions on unsold inventory to developers coupled with benefits to 2nd home buyers should bring the investment cycle back in the housing sector. Synergy Property Development Services CMD Sankey Prasad said the steps taken could percolate into direct and indirect benefits to the housing sector. Krypton Global Investments MD Mona Jalota said the budget looks very positive and could give a huge boost to the realty sector. India Assetz founder Shivam Sinha said: "Populist and buoyant in the true sense, Budget 2019 has brought great cheer for the real estate sector". Home & Soul CEO Sakshi Katiyal said the tax relief on notional rent from unsold houses will let developers not to compromise on their deals, while Wealth Clinic director Amit Raheja expected housing demand to rise with increased disposable income with people. Neh Srivastava, President of Central Secretariat Service Officers Society (CSSOS) said this budget has offered many incentives to home buyers and developers.